Kyle Busch rallies from a lap 2 incident to win the Food City 500. Kyle Busch is typically the favorite to win at Bristol. 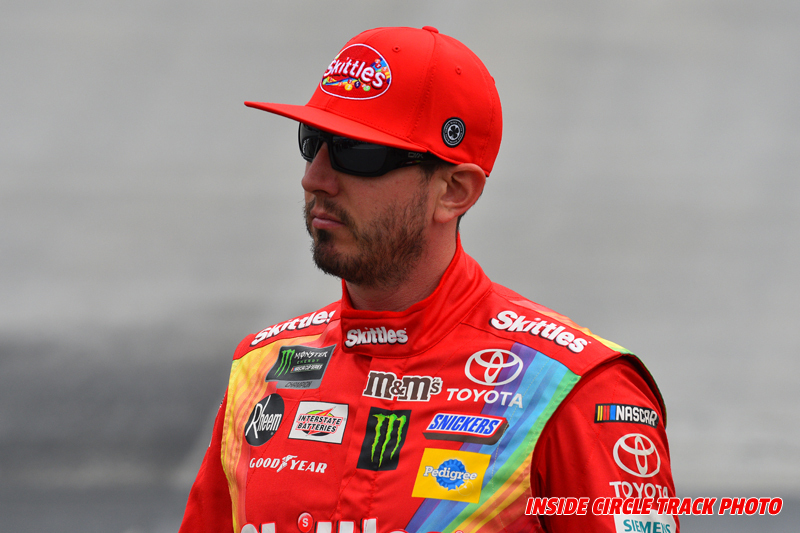 Heading into Sunday’s Food City 500, Busch had won 7 times at the half-mile in the Monster Energy NASCAR Cup Series. An eighth victory looked to be in doubt when Busch was tagged from behind on a lap 2 incident. Chase Elliott dominated the early stages of the race. The pole sitter was comfortably in charge until a lapped car made contact with Elliott that resulted in a flat tire and a spin. Elliott was so far ahead he was in 5th place when the caution waved. But Elliott would not lead again. 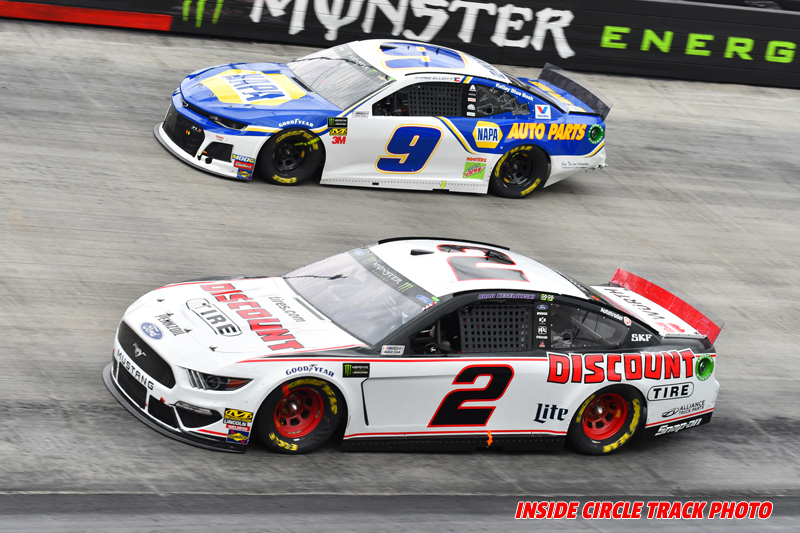 The Penske cars rose to the ocassion as Ryan Blaney grabbed the lead with teammates Joey Logano and Brad Keselowski in tow along with Clint Bowyer. Those four drivers spent much of the race trading the lead. Brad Keselowski and Chase Elliott were early contenders. A caution with under 20 laps to go saw Logano and Keselowski pit from the first two spots. Both Busch brothers and a handful of others stayed out gaining valuable track position. That handed the lead over to Kyle Busch with 14 laps to go. Once the green flag waved again, it was Kyle Busch to the lead over brother Kurt. 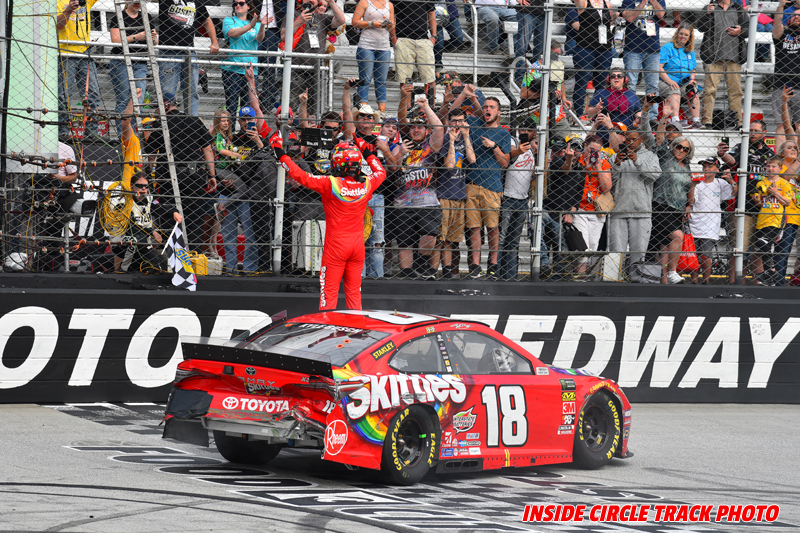 The younger Busch took his #18 Toyota to victory lane, his 8th career Cup win at Bristol Motor Speedway and 54th overall Cup win. 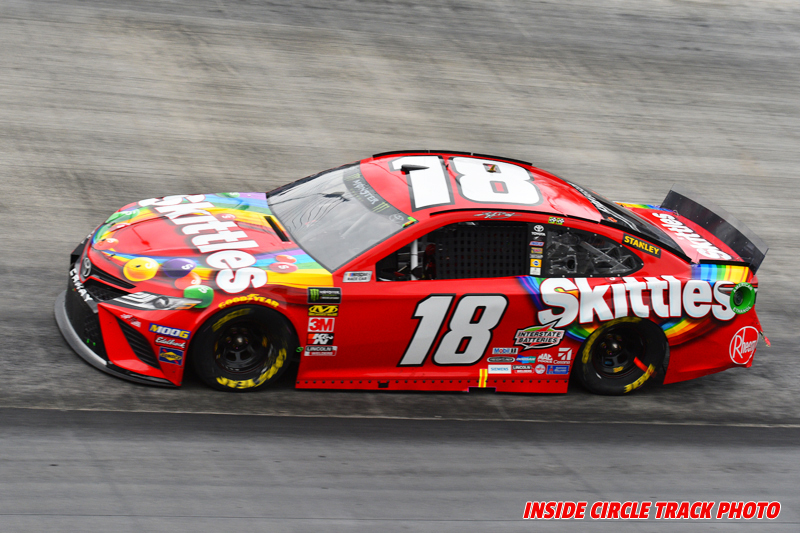 Kyle Busch scored his 8th Bristol 8th Cup series win. Bristol tidbits: Aside from Busch’s win on Sunday, the most talked about item was the amount of empty seats. Though racetracks typically don’t release attendance numbers, many estimated the crowd at 40,000 people, far below the 150,000+ capacity. No one reason seems to be the reasoning behind the dramatic downturn for Bristol races. One has to wonder if Bristol is in jeopardy of losing one of its dates…The Food City 500 saw 8 different drivers lead a lap, including stage one winner Ty Dillon who finished 15th. There were a total of 21 lead changes in the 500-lap race. Ups and downs: At roughly the 1/3 mark of the regular season, a number of drivers have seen upside down seasons. 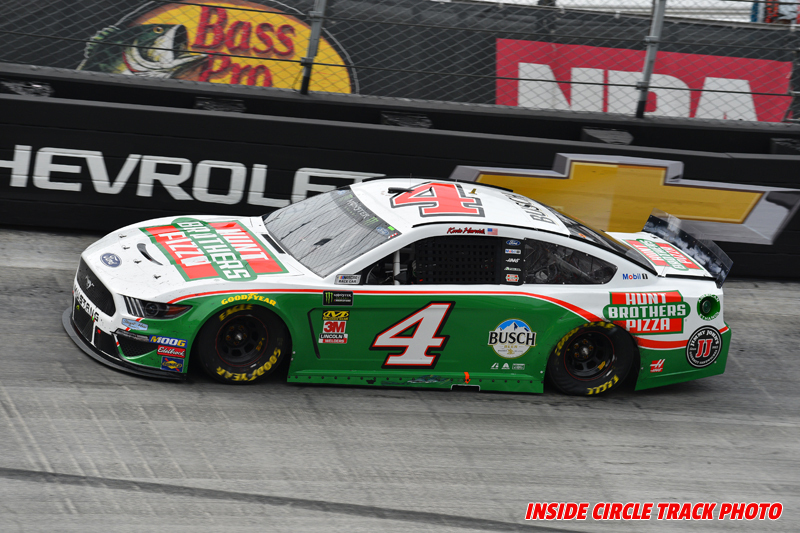 Kevin Harvick has not led a lap at any of his strongest tracks – Atlanta, ISM, and Bristol. 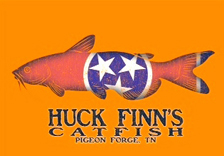 Harvick had two separate violations that caused him to start the Food City 500 in the rear, then make a pass-thru penalty after the start of the race. Harvick spent most of the race multiple laps down despite being one of the fastest cars all day…Kurt Busch continues to make the #1 Chip Gannasi car look like a winning car and a championship contender…Some of the talk over the weekend was Richard Petty Motorsports is in serious financial trouble…Chase Elloitt and the NAPA team continue to be the best Hendrick team, though Jimmie Johnson is slowly making ground. Kevin Harvick spent most of the race several laps down. 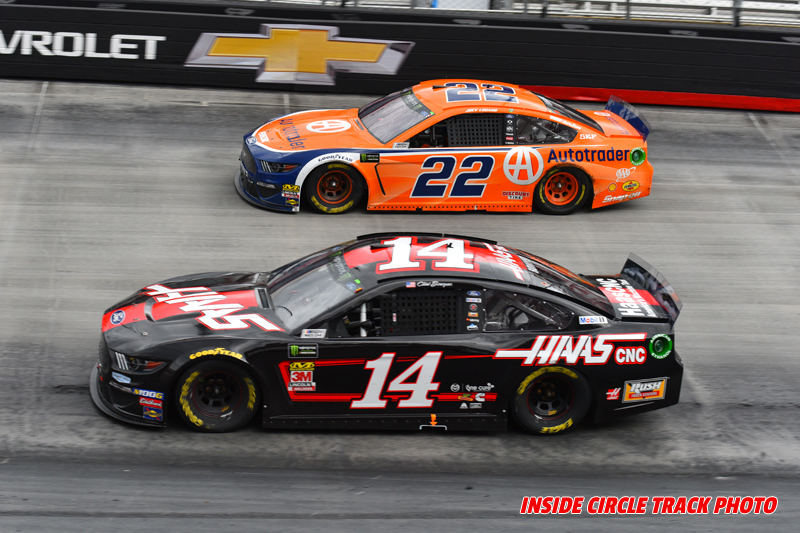 Clint Bowyer and Joey Logano battled for the lead in the later laps. 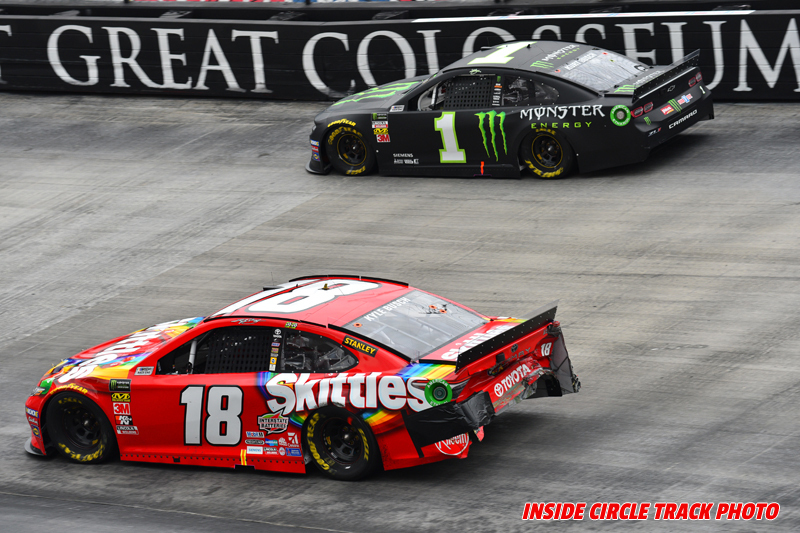 The Busch brothers race for the win at Bristol. Kyle Busch prior to the start of the Food City 500.